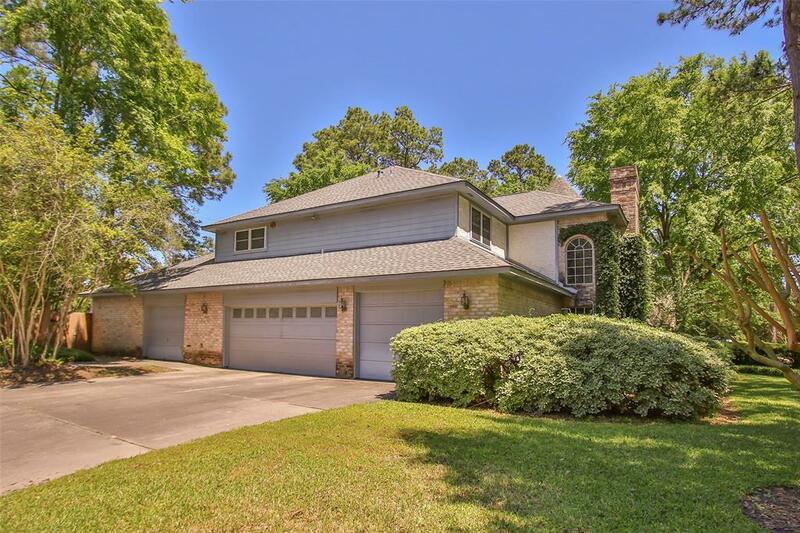 Majestic 4 bedroom, 4 full/2 half bath home on a gorgeous wooded, corner lot in Lakewood Forest! Huge 4-CAR GARAGE with plenty of space for vehicles, plus a 1-car width shop with built-in work benches and central vacuum system! 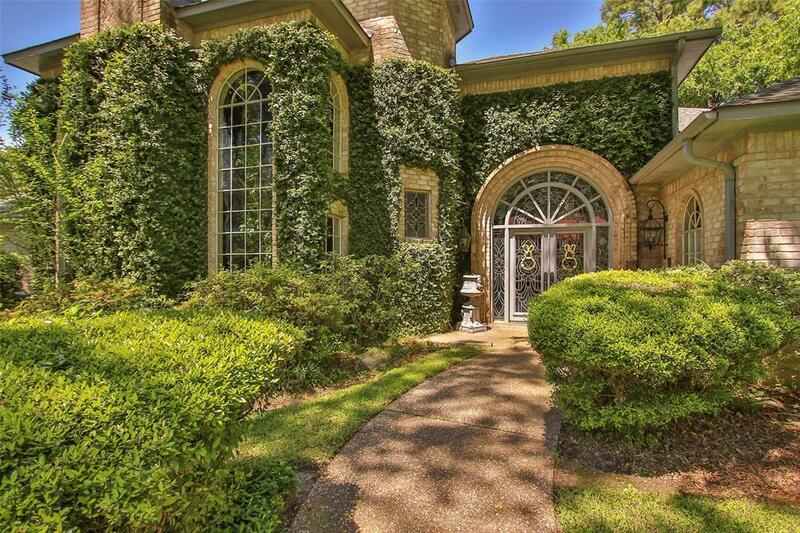 Lush greenery & double front doors under dramatic archway have the charm of an Old World fairy tale. Soaring front stairs & Tiffany stained glass window in entry. Living features custom limestone fireplace, floors, & wood ceiling. Beautiful wood block ceiling and storage galore in Study. Large formal dining has plenty of space to wine & dine family & friends! Spacious family room open to Kitchen. Double islands, SubZero fridge, & GRANITE in Kitchen. 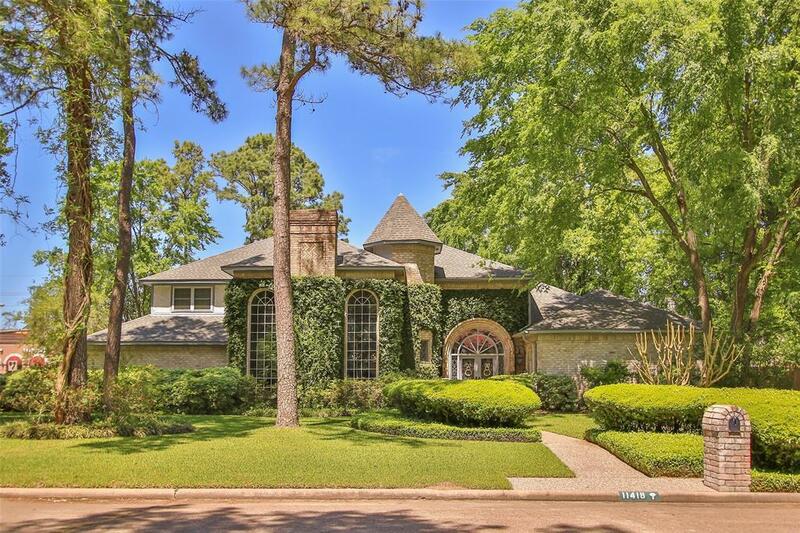 Master Suite features Jacuzzi tub & separate shower, 2 walk-in closets, heated floors, marble counters. First floor Guest Suite! Game Room plus 2 Beds with 2 private baths up! Large walk-in attic. Sparkling pool and HUGE backyard with plenty of space for kids & pets. 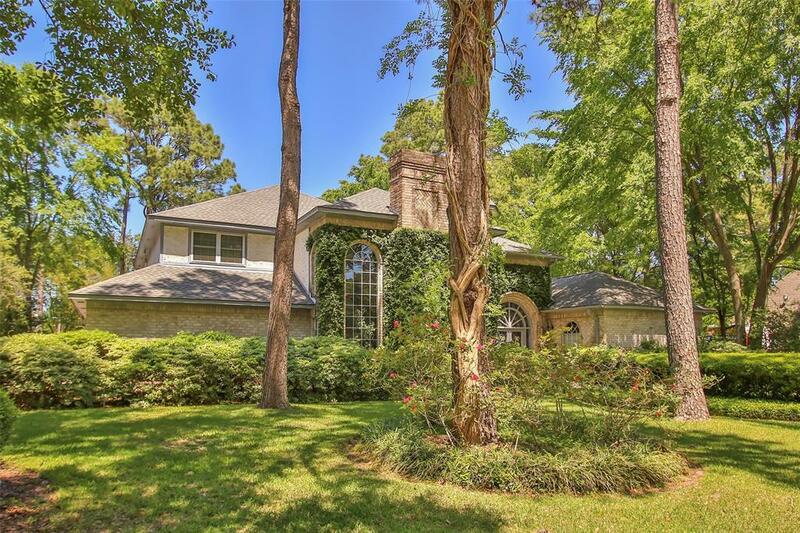 Great Tomball ISD schools & LOW TAXES!